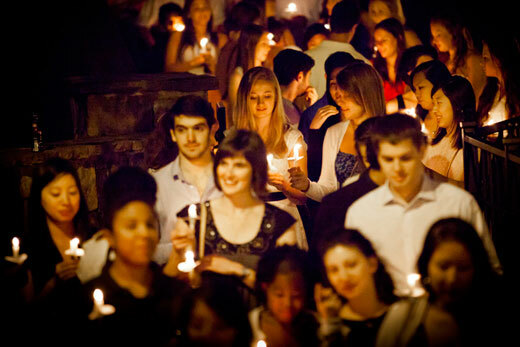 Campaign Emory raised more than $1.69 billion from nearly 150,000 donors. Emory President James Wagner thanks those who helped the university surpass its $1.6 billion Campaign Emory goal and encourages continued philanthropy. Emory alumni, parents, students, faculty, staff, grateful patients, and friends contribute nearly $1.7 billion to make Campaign Emory a success. Over the course of a history-making, seven-year effort, Emory University has raised more than $1.69 billion from alumni and friends to support teaching, research, scholarship, patient care and social action. Nearly 150,000 donors contributed to Campaign Emory, ensuring the success of the most ambitious fund-raising effort in the university's history. Emory alumni contributed more than $349 million of the overall total. Emory faculty and staff contributed more than $105 million to Campaign Emory. Funds raised through the campaign already have begun to transform Emory's physical and academic landscapes, enhancing the student experience, teaching, research and patient care by better equipping the university and its medical centers to serve the local and larger communities. This level of philanthropic support, even in the midst of a worldwide economic downturn, is inspiring, says Emory President James W. Wagner. "Philanthropy touches every area of Emory's work. The success of this campaign and the generosity of our many donors affirm that we are on the right track," Wagner says. "This campaign exceeded its goal because of the thoughtful, essential support of many alumni and friends, faculty and staff. We are confident that they will share in our success and continue to support us as we pursue the important work their generosity has made possible." Hundreds of volunteers donated their time to help make the campaign successful. "Without the dedication of our volunteers, we could not have achieved all they have made possible. The Emory community owes a debt of gratitude to Sonny Deriso, volunteer chairman of Campaign Emory, and every one of our volunteers who gave their time to lead and serve on school and unit committees," Wagner says of Deriso, a 1968 graduate of Emory College and a 1972 graduate of Emory University School of Law. Campaign Emory provided essential support to enhance academic programs and research in schools and units. More than 351 endowed funds were created. Over the course of the campaign, donors provided more than $225 million for student scholarships and programs. Gifts for student support and scholarships are enabling a greater number of deserving students to pursue an Emory education. • Emory College of Arts and Sciences received a $15.4 million gift from the estate of the late James E. Varner Jr., a 1942 graduate of Emory College. The bulk of the gift—$14.4 million—is being used for student scholarship support, a critical need at Emory and across the nation. • Mary E. and C. Robert Henrikson have given another $2.5 million in scholarship funding to help defray the costs of an Emory legal education for minority students. The couple established a minority scholarship endowment at the law school 10 years ago and gave $1 million to that fund in 2007. Their new gifts are increasing student diversity and serving as a challenge grant for matching gifts that will go to Emory Law's annual fund. Robert Henrikson is a 1972 graduate of Emory Law. "Scholarship funds have given me the freedom to focus on serving those around me," says Yewande Rukayat Alimi, a fourth-year medical student who has benefitted from the Adopt-A-Scholar program at Emory School of Medicine, as well as receiving endowed scholarships. Alimi, who plans to specialize in surgical oncology, has volunteered with the Georgia Lions Lighthouse Foundation and Good Samaritan Health Center clinics in Atlanta during her time at Emory School of Medicine. The transformation of Emory's campus through private philanthropy is facilitating community development, collaborative research and health care delivery. • In 2007, the Robert W. Woodruff Foundation anchored the campaign with a significant gift to update health care facilities and to support other strategic priorities. • Also in 2007, the O. Wayne Rollins Foundation and Grace Crum Rollins made a $50 million commitment toward the $90 million cost to construct a second building for the Rollins School of Public Health. The Claudia Nance Rollins building is named in honor of O. Wayne and John Rollins' mother. • In 2010, the O. Wayne Rollins Foundation made a gift of $15 million to Candler School of Theology that is supporting the construction of the second phase of the school's new building program. In recognition of this gift, the school's first building from phase one has been named in memory of the late Rita Anne Rollins, the first grandchild of the foundation's namesake. 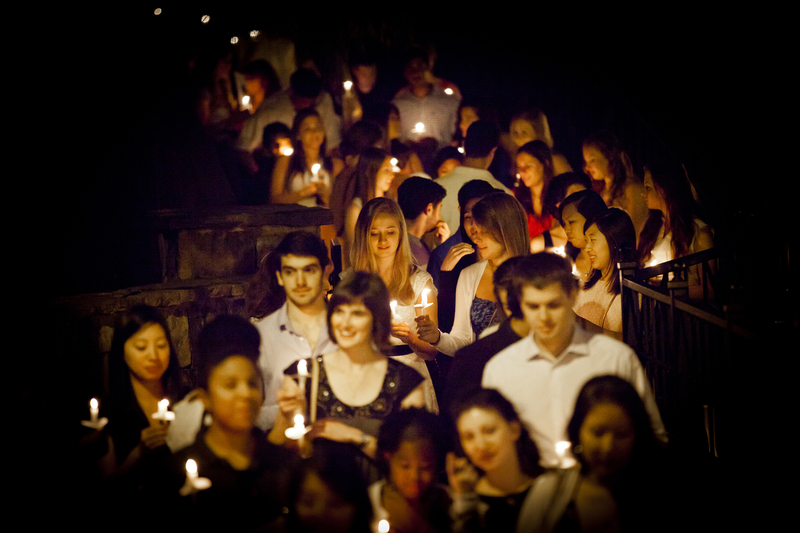 Donors have shown strong support for the humanities during Campaign Emory. • Stuart Rose, a 1976 graduate of Emory's Goizueta Business School, donated a collection of rare books to Emory's Manuscript, Archives, and Rare Book Library (MARBL). The 22-title collection is valued at more than $1 million. • Randall K. and Nancy Burkett have donated to the African American Collections at MARBL much of their personal collection of historical African American artifacts, including books, broadsides, pamphlets, funeral fans, photographs and the papers of William H. Scott, who fled slavery at age 12 and went on to be a teacher, minister and political activist. • The Andrew W. Mellon Foundation invested $2.4 million in Emory to support the humanities across the university. One humanities professor, Patrick N. Allitt, now holds the Cahoon Family Professorship of American History at Emory College of Arts and Sciences, which was endowed during the campaign by Emory College alumna Susan Cahoon, a prominent Atlanta attorney. "It is very gratifying to be given the recognition," said Allitt. "Ms. Cahoon has shared with me the way in which her undergraduate history training and her distinction on the Emory debate team gave her some of the skills she has translated very effectively into being a dynamic lawyer. I like the feeling of continuity there and the way in which her success has been invested back into the university which gave her some of those skills to begin with." Investments in research are helping scientists unravel the mysteries of the most challenging health issues of our time. • Atlantans Sarah and Jim Kennedy and their family foundations gave $5 million to Emory University for innovative research projects to address Alzheimer's disease. • Jean and Paul Amos of Columbus, Ga., committed $4 million to name the Movement Disorders Research Program in Emory School of Medicine and to launch research and clinical trials, recruit scientists and train fellows. • A $5 million commitment from the Wilbur and Hilda Glenn Family Foundation to the Winship Cancer Institute of Emory University named the Glenn Family Breast Program and established a fund to support patient care, research, education and community outreach. Donors have shown a commitment to support Emory's mission to create, preserve, teach and apply knowledge in the service of humanity. • The Bill and Melinda Gates Foundation have invested more than $55 million in Emory's work in global health. Grants have gone to the Rollins School of Public Health and its Center for Global Safe Water, the Nell Hodgson Woodruff School of Nursing, the Emory Global Health Institute and HIV/AIDS vaccine research through the Yerkes National Primate Research Center and the Emory Vaccine Center. The steady growth in personal giving reflects a growing culture of philanthropy at Emory, says Wagner. "Throughout Campaign Emory, alumni and friends have chosen to invest in Emory's key priorities toward the greater good. The power of private philanthropy can be seen in every building, classroom and patient care facility throughout Emory as we work to enlighten the mind, heal the body and uplift the human spirit. The benefit of each gift lives in the potential of every student, researcher and faculty member to change the world for the better," Wagner says. "Emory's many supporters have created a lasting legacy, building a culture of philanthropy that will live on at Emory, keeping us moving forward for generations to come as we continue to seek opportunities to make significant contributions to the world."